So is the term “cosmopolitan port town” redundant, like referring to a “trackless wilderness”? I’ve discussed the idea of a “Tolerant Coast” here before, and we’ve visited one corner of the Indian Ocean in my earlier blog post on Sunil Amrith’s recent book. If we consider Pearson’s propositions in comparative perspective, extending our view only as far as the eastern Mediterranean, they don’t stand up to close inspection. For example, journalists covering the Middle East often frame their narrative in terms of a visit to a “formerly tolerant port town”—this piece from the Washington Post on Alexandria, Egypt is a good example. If there is such a thing as a “formerly tolerant port town,” then we know that the soothing sea breezes themselves are not adequate to explain what’s going on. Philip Mansel, in his highly readable and intriguing study of Smyrna, Alexandria, and Beirut, repeatedly refers to these cities as “volcanoes” or “ticking time bombs.”  That, I think, is a clumsy way to put it—it has the same flaws as referring to a society marred by sharp socioeconomic inequalities as a “pressure cooker” or as “pre-revolutionary.” In fact, Mansel himself frames the question more subtly when he acknowledges that a city like Beirut was simultaneously “an incubator and pacifier of nationalisms.”  Some of the very port towns most legendary for their long histories of coexistence birthed uncompromising nationalist strongmen who had no time for the Levantine worldview. Beirut’s self-destruction is well known, but Ataturk was from Salonika, today a Greek city. And Nasser was from Alexandria. If coexistence had such a long history in these port towns, why did it prove so fragile and, we might add, unpersuasive to those who had personally experienced its benefits? In 1922, when the militant ambitions for a Greater Greece clashed with Ataturk’s emerging Turkish national state, Smyrna’s large Greek population was burned out and driven into the sea in a humanitarian catastrophe of vast proportions. (In Ataturk’s view, this was proportional retribution for the purges of Turks from towns like his birthplace, Salonika.) According to Mansel, most of the other inhabitants of Smyrna remained aloof while this went on. His epitaph for this Levantine city: “Smyrna’s Muslims and Jews showed the same lethal indifference to the fate of other races that Greeks and Armenians had displayed towards each other during previous massacres.”  Today, Smyrna is known as Izmir and the happy tourists writing reviews on TripAdvisor show no awareness that the hip nightclubs and bars along the waterfront were built on the ashes of an ethnically cleansed community. Superficially, bustling polyglot port towns all appear cosmopolitan. Yet I think we can notice some important differences between Mansel’s Levant and the Indian Ocean port towns described by Pearson and Amrith. I don’t mean to impose a simplistic contrast between complete opposites; after all, Amrith’s book has its share of pogroms, for example in Burma against those descended from Indian migrants. And Mansel records that in Salonika, Christians and Muslims visited the shrines of each other’s saints. Yet it’s important to not lose sight of the difference between a port town with a robust cosmopolitan spirit and a port town better characterized as a codified regime of toleration. The syncretism that is so common in the Indian Ocean is a fine example of cosmopolitan attitudes at work. In the assumption that handy solutions could come from any quarter, seafarers marshalled the saints, charms, and rites from every faith to bring them good luck on their next trading voyage. 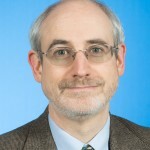 Pearson describes the extensive efforts of orthodox Muslim clerics, mostly of Yemenite origin, to re-impose the distinctions between faiths in the Indian Ocean islands and port towns; the need for that campaign is itself a testament to the successes of syncretism, which had blurred the lines between ethno-religious factions almost beyond recognition. Michael Pearson, The Indian Ocean (London: Routledge, 2003), 77. 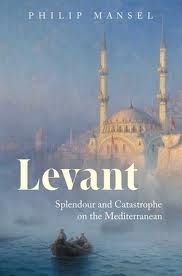 Philip Mansel, Levant: Splendour and Catastrophe on the Mediterranean (London: John Murray, 2010). Since posting this piece, I’ve read more widely in the academic literature on cosmopolitanism. Caroline Humphrey’s “Odessa: Pogroms in a Cosmopolitan City” (which appeared in her edited volume, Post-Cosmopolitan Cities) is a long, nuanced essay. Of special interest is her discussion of the central role played by Greek sailors–over at least two generations–in spreading anti-semitic rumors and encouraging violence against Jews. In 1821, what Humphrey calls “the first pogrom in Odessa” (34) was triggered by Greek sailors who claimed that the Patriarch of Constantinople, Gregory V–who had been beheaded by the Ottoman authorities–had been further insulted by Jews who dragged the corpse through the streets. Fifty years later, in 1871, Gregory V’s body was to be repatriated to Athens in a ship named “Byzantium,” but a new cycle of anti-semitic rumors emerged connected with the procession down to the harbor. Humphrey notes the prominence of “sailors and dockworkers from the port” gathering at the Greek church near a Jewish neighborhood on the eve of Easter Sunday. It was this crowd that initiated the pogrom. (37) These examples are interesting both in terms of how sailor’s mobilities and transnational affiliations might shape the life of a port town, and also in light of the familiar claims that the trading functions of ports naturally enhanced an awareness of interdependency and the importance of continued peaceful coexistence between ethnic and religious factions.